DB2 Universal Database (UDB) supports many different types of applications, on many different kinds of data, in many different software and hardware environments. This book provides a complete guide to DB2 UDB Version 5 in all its aspects, including the interfaces that support end users, application developers, and database administrators. It is complementary to the IBM product documentation, providing a clear and informal explanation of how the features of DB2 were intended to be used. 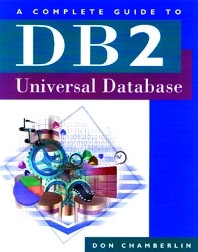 It is an extensive revision of the author's earlier book, Using the New DB2: IBM's Object-Relational Database System.